Midwest Book Award Winner – 2017! 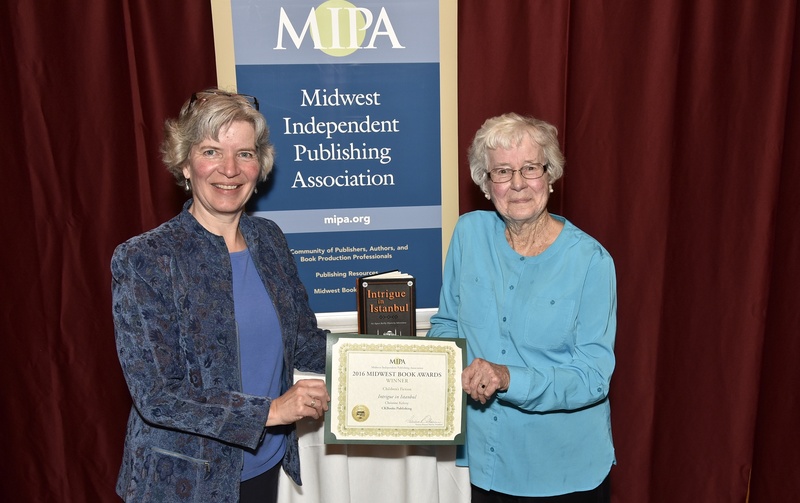 I don’t feel comfortable tooting my own horn too much, but I did let you all know Intrigue in Istanbul: An Agnes Kelly Mystery Adventure was a Midwest Book Award finalist in the children’s book category, so I thought I should share that it WON! How exciting is that. It was kind of funny. I didn’t actually expect it to win (not that I think it’s a bad story or anything – it did win a Moonbeam Children’s Book Award last year) but I had been a finalist before for Will the Real Carolyn Keene Please Stand Up, which did not win, so I guess I expected the same. For an FYI Intrigue in Istanbul is what I call a family story – it’s written for middle grade readers and up. I’ve had many adults who have enjoyed it, which is what I was going for, so I like to hear that. It’s set in 1961 and is about a 12 year old girl who’s father dies. Her grandmother, her father’s mother, takes her on a trip to Istanbul after the funeral where Agnes finds out her dad died under suspicious circumstances and she also learns some other shocking news. So to celebrate – anyone who comments below will get a free ebook of your choice. Just tell me what book you want in the comment section and I’ll contact you and send you the book!